This activity can be used as an introduction or review of the letters of the English alphabet. It sorts them into categories of vowels or consonants. 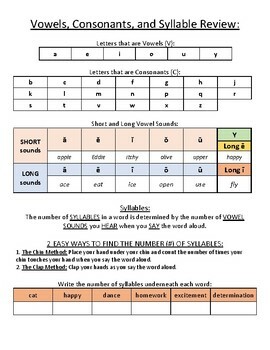 The activity also includes a basic definition of syllables and practice for finding the number of syllables in a word.